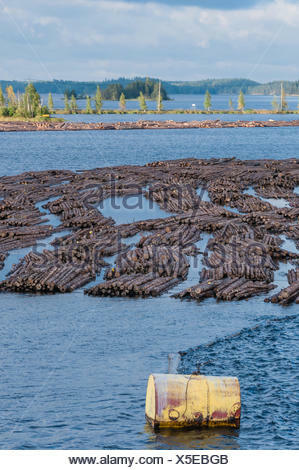 Logs float on the inlet near Telegraph Cove. 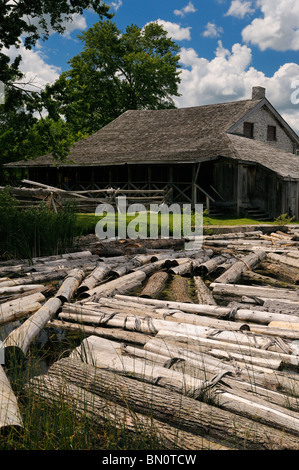 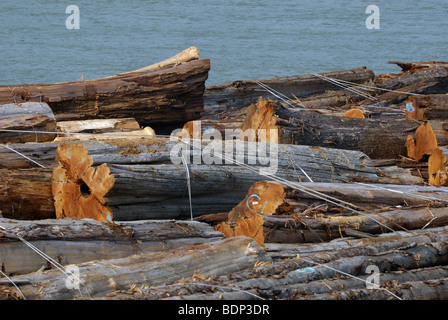 Logs collected together on the coast of Vancouver. 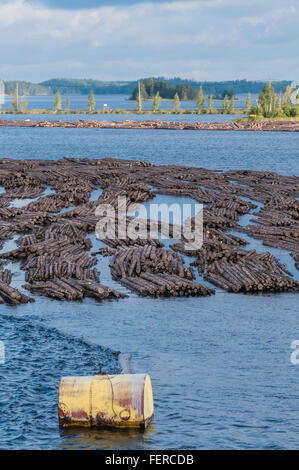 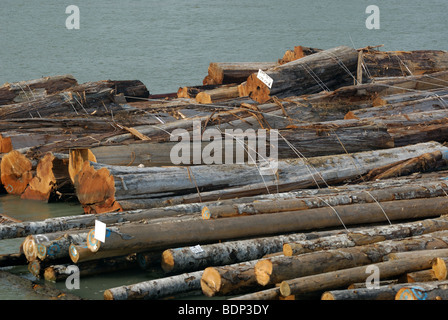 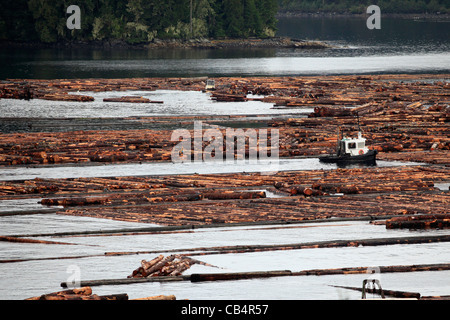 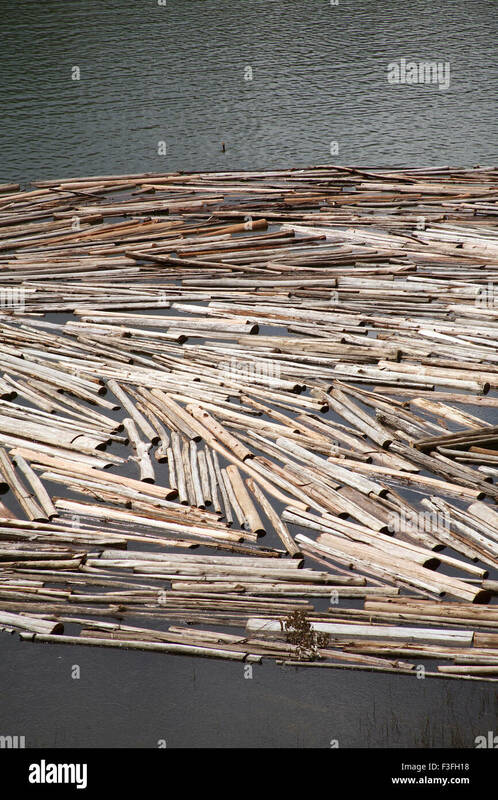 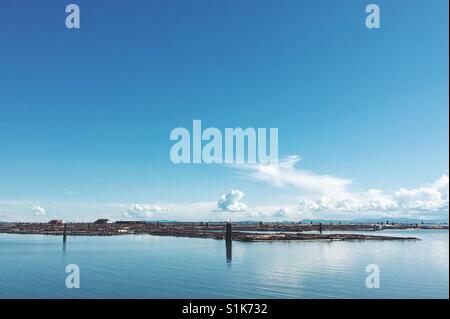 Log booms waiting for transfer to locale mills on the Fraser River. 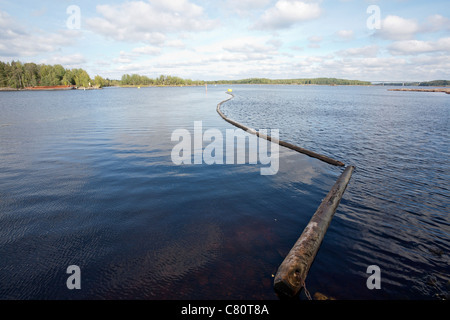 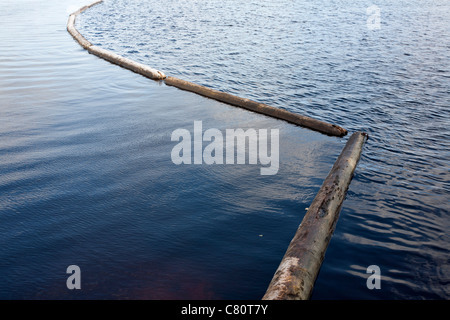 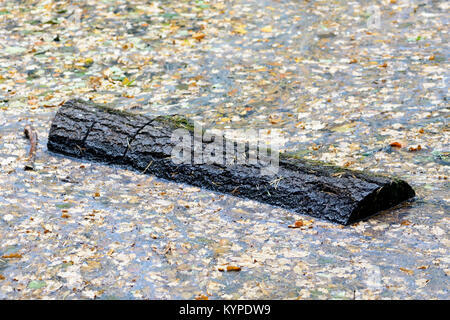 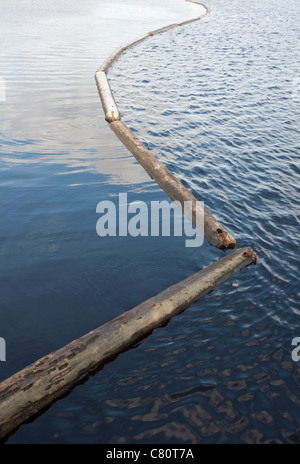 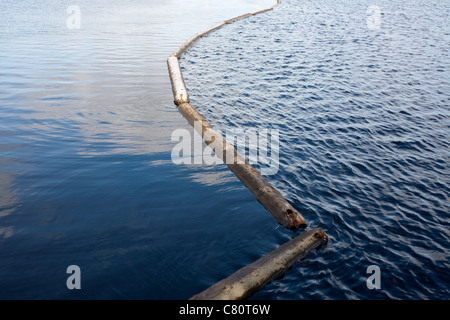 A log floating on a lake covered in fallen leaves.